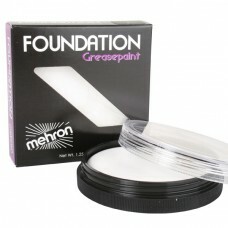 This makeup is the traditional foundation most commonly referred to as “Greasepaint”. Mehron’s Foundation Makeup has been a staple in makeup kits of both professional and amateurs for decades and continues to be a must-have product around the globe. Available in a convenient 1.25 oz. container.